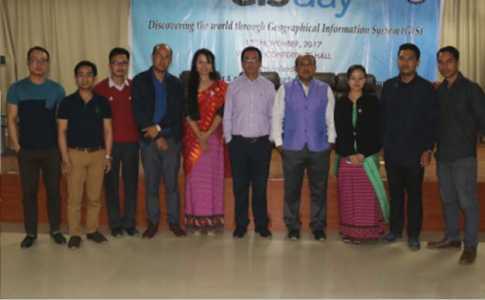 Geographical Information System (GIS) day is celebrated all over the world on the 3rd Wednesday of November all over the world. To mark the World GIS day, today on 15th November 2017, GIS day was celebrated at National Institute of Technology (NIT) Manipur by the Civil Engineering Department. The program was graced by the Chief Guest Dr. S. Birendra Singh, Director, NIT Manipur; Shri R.K. Lalit Singh (Registrar), Dr. Kh. Manglem, Dean (Academic Affairs) and Dr. P. Albino Kumar, Asso. Dean (SW) &Head, Civil Engineering Department. The convener of the program was Dr. Bakimchandra Oinam, Asst. Prof. 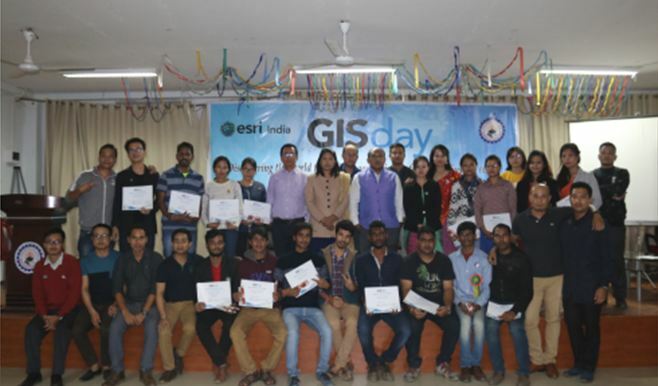 The Chief Guest highlighted the functionality, merits and the importance of GIS. The Dr. Kh. Manglem explained about the application of analog and digital signal and its application in Remote Sensing (RS) and GIS. Technical talks and demonstration were given by experts to the students and event also included program such as Quiz, Treasure Hunt, Poster Presentation etc. 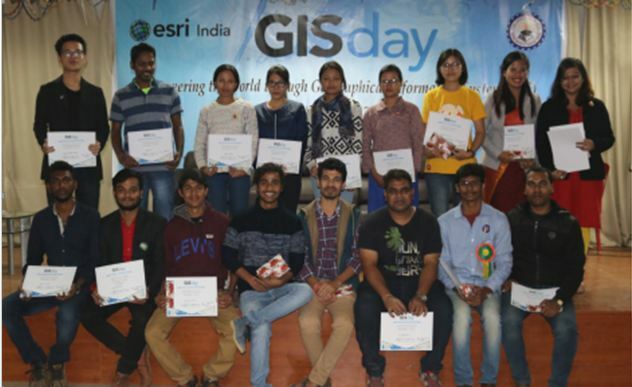 The program was concluded with prize distribution to the winners of the events. This Press Release was sent by Sarungbam Pipileima, Lecturer in the Department of Civil Engineering, National Institute of Technology Manipur, who can be contacted at spipileima(at)gmail(dot)com.